Rev. Robert Ricks Boone, Jr.
Rev. Robert Ricks Boone Jr., 80, went home to be with his Lord and Savior on Saturday, January 26, 2019. He was the son of the late R. Ricks Boone and Estelle Murphy Boone and was born and raised on a farm in the Cedar Rock Township near Louisburg. 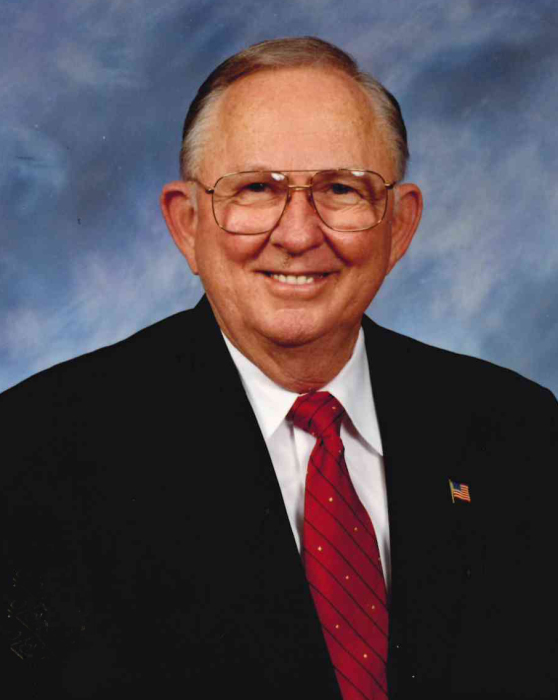 He was licensed and ordained to the gospel ministry by his home church, Cedar Rock Baptist Church, on September 18, 1960. He attended Edward Best High School and Campbell College. Following his marriage to Carol Turner on August 24, 1957, he transferred to the University of North Carolina at Chapel Hill where he received his A.B. Degree. He attended the Southeastern Baptist Theological Seminary where he received his Bachelor of Divinity Degree which was up graded to the Master of Divinity Degree. The Reverend Boone was a Pastor and served this general area for his entire life. He served the Wood and Red Bud Baptist Churches in Franklin County. Following seminary training he served Grassy Creek Baptist Church near Stovall in Granville County, Arlington Street Baptist Church in Rocky Mount and for 25 years at Bethlehem Baptist Church in Knightdale. While in Rocky Mount he served a term on the General Board of the Baptist State Convention of North Carolina. After retirement, he served as interim Pastor for seven churches in the Tar River Baptist Association. He was awarded Honorary Deputy Sheriff for Wake County on March 27, 2000. In addition to his parents, Rev. Boone was preceded in death by his sister, Mary Faith Evans and her husband Wayland. The family will receive relatives and friends from 6:00 to 8:00 pm, Monday, January 28, 2019 at L. Harold Poole Funeral Service & Crematory, 944 Old Knight Road, Knightdale, NC 27545 and other times at the home. A service to celebrate his life will be held at 11:00 am, Tuesday, January 29, 2019 at Bethlehem Baptist Church, 8400 Poole Road, Knightdale, NC 27545. Burial will follow at Cedar Rock First Baptist Church Cemetery, 4879 NC 56, Castalia. In lieu of flowers memorial contributions may be made to Bethlehem Baptist Church.